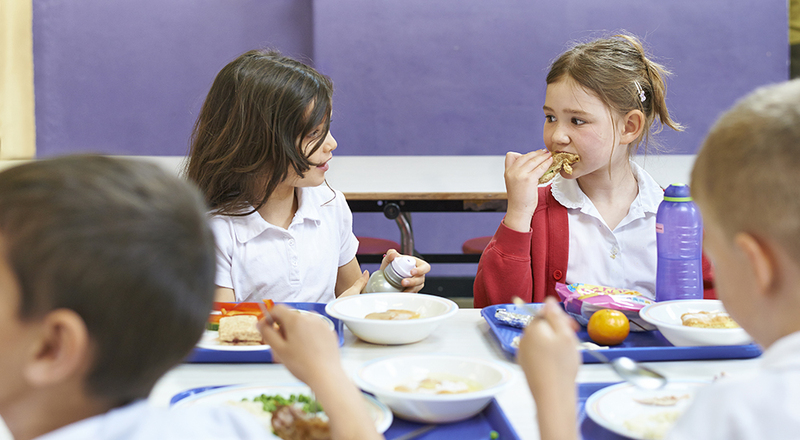 Are school meals actually good for my children? The short answer is; yes! All of our school meals are nutritionally-balanced. Below, our nutritionist answers what that actually means along with one other frequently asked nutrition question. What does ‘nutritionally balanced’ actually mean? When planning menus for young children, we aim to provide a wide variety of nutrients, in the right amounts. A nutritious diet isn’t just about consuming 5-A-DAY and focusing on eating more fruits and vegetables than anything else, a balanced diet is made up of a wide variety of nutrients including fat, carbohydrate, protein, iron and calcium, to name a few. Our nutrition team assess the nutritional value of the menu across a three week cycle as opposed to daily. This is because children eat with us every day – therefore we must ensure the lunch time meals they are eating contain everything they need to maintain a healthy diet. Children use a lot of energy at school, both physically and mentally, so one of our main priorities is also to ensure the children thoroughly enjoy school meals. Variety is the spice of lifeHow do I sign-up for school meals?